Stylish and highly functional - the signature of klotzaufklotz! 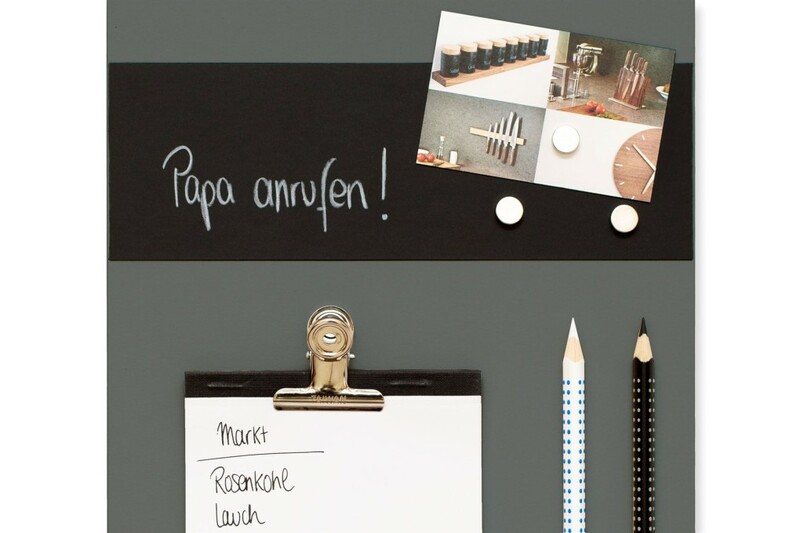 Stick your notes on the chalkboard contact paper or write messages on the pad of the magnetic notice board. 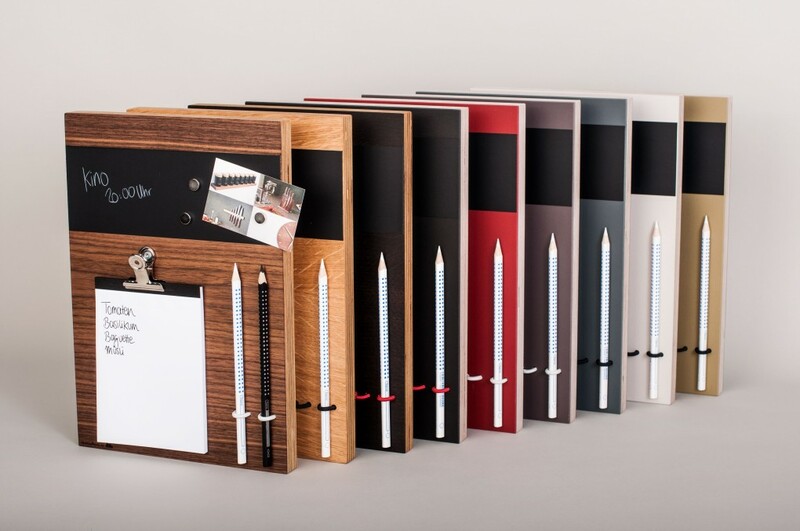 Convenient elastic ropes are attached to accommodate pencils, and the board features a magnetic strip and a small pad. 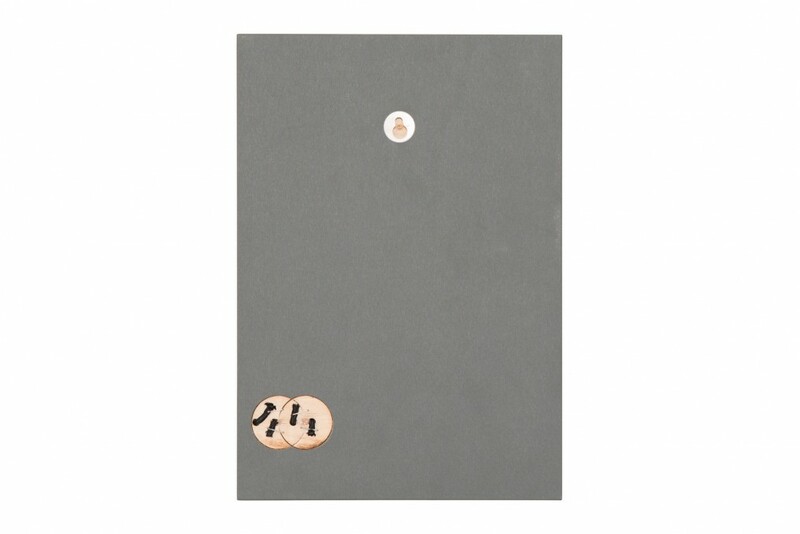 This memoboard is crafted out of multiplex and is covered with grey linoleum.